It seems as if new Kratom products sold by different vendors are coming out every week. It becomes confusing in some cases to choose a product that works for you. Though fortunately, one should be happy that there are a lot of varieties to choose from. This company is the brainchild of a certain Bill DiStasio, who came across Kratom while watching a documentary on CNN and realized that this stuff was what was needed to kick out Opioid drug habits. He soon experimented with Kratom on his own then started selling it at a cigar shop and then took things to another level by selling it online. Enough with the company itself, we will continue with testing the hot stuff that is being sold. Green Vein Kratom varieties (Green Asia Kratom, Green Bali Kratom, Green Maeng da Kratom, Greenhorn Kratom, Green Hulu Kratom, Green Jong Kong Kratom). The Red vein Varieties (Red Bali Kratom, Red Indo Kratom, Red Maeng da Kratom, Super Elephant Kratom, Super red Malay Kratom). The price range for Kratom varies from a low $15 to a whopping $140 depending on the quantity. Kratom powder is sold at a weight of 24g, 50g, and 100g. The capsules are sold in a 50 pill or a 100 pill package. The consumer is at liberty to buy even more than the standard amounts and stretch it to around 250g to 1 kg in weight. This vendor sells Kratom in its purest form without the usual scam of mixing it with other herbs. This means that the active alkaloid agent is quite potent and even a smaller dosage which would be less than the standard amount would be sufficient enough to bring about an effect. They are so sure about their product that they are willing to give you a refund in case their order turns out to be faulty in any way. 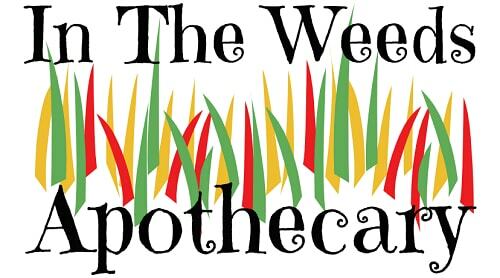 In the Weeds Apothecary has a fast shipping service which caters to most of the states except a few. The reason for the exclusion of these states is due to their unclear laws about the status of Kratom use. There are different delivery charges for every region the details of which can be found on their official website. A bonus point is that on orders that exceed the mark of $50 you get to have it delivered for free thus lowering your total costs. I will recommend you the strains which have had a consistent number of good reviews and which impressed me enough to go on and write a review. This Kratom is included as one of the special strains, and it should be mentioned here that this strain has effects that vary. One plant might give you sedating effects while another plant of the same strain will surprise you with mildly energetic effects. So do go for this strain if you are in the mood to give yourself some surprises. The most impressive bit about this company is the fact that they are not as obsessed with marketing their product as the others. The primary object of their website is to impart knowledge about Kratom. Their website is shaped like a blog with an introduction about Kratom and many articles which increase knowledge about Kratom use. This shows that they are concerned about the future of Kratom itself and at the same time want to keep all Kratom users well informed. In the end, it should be clarified that almost all vendors obtain Kratom from the same source, but what distinguishes them apart is how they harvest and market it. In the weeds has shown a bit of sincerity to its customers by trying to spread awareness about the herb instead of employing cheap and selfish marketing tactics. Previous articleWhat Is The True Kratom Color?